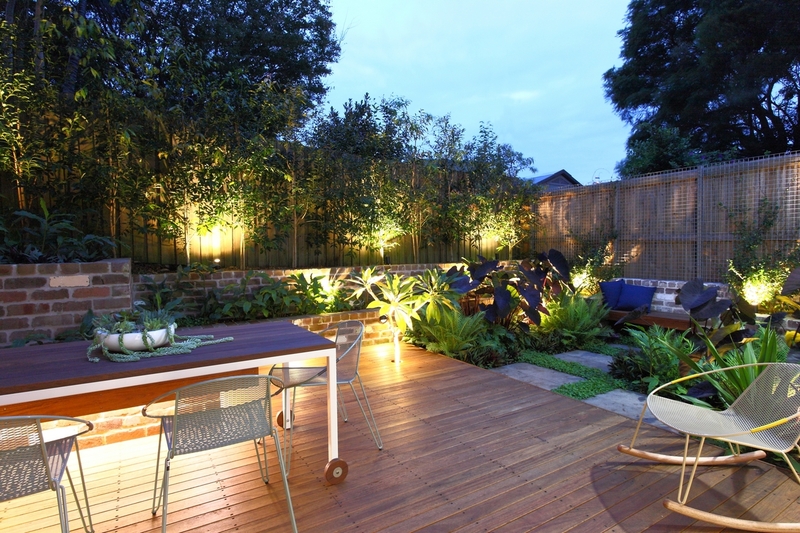 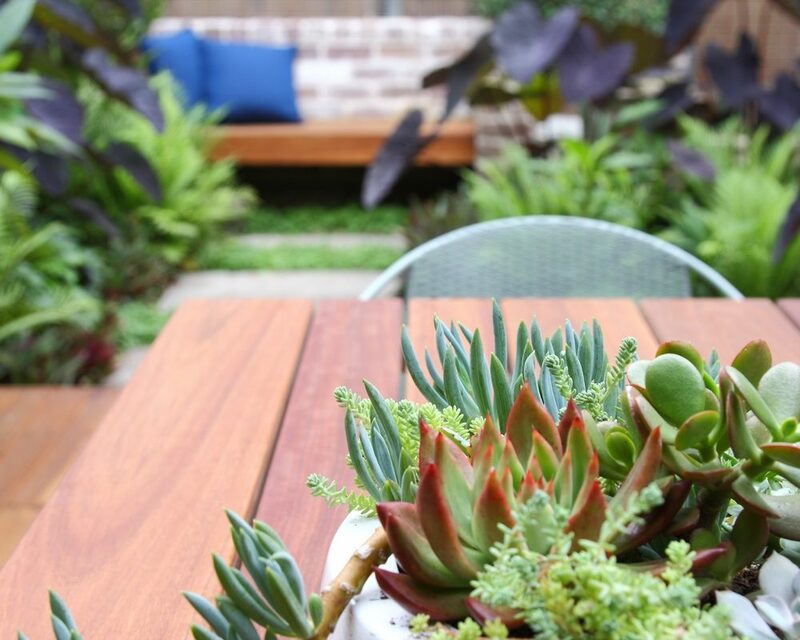 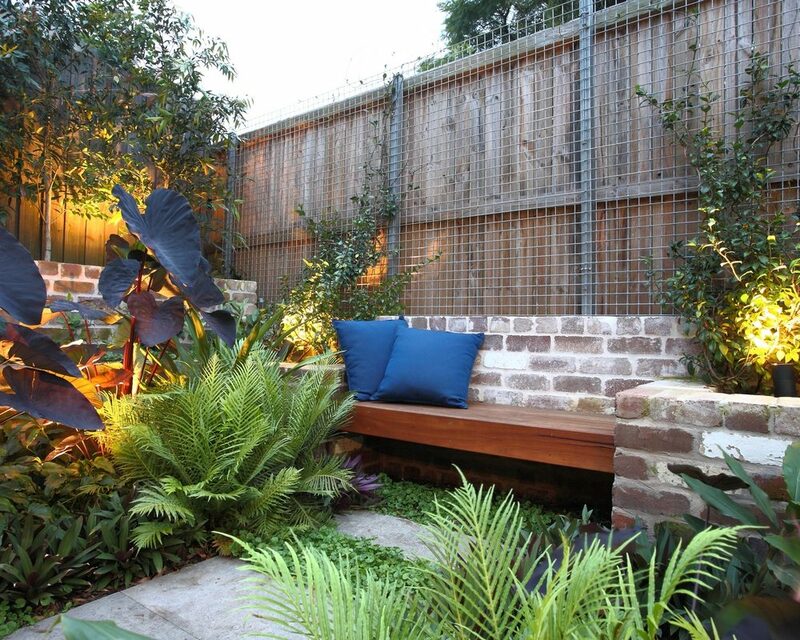 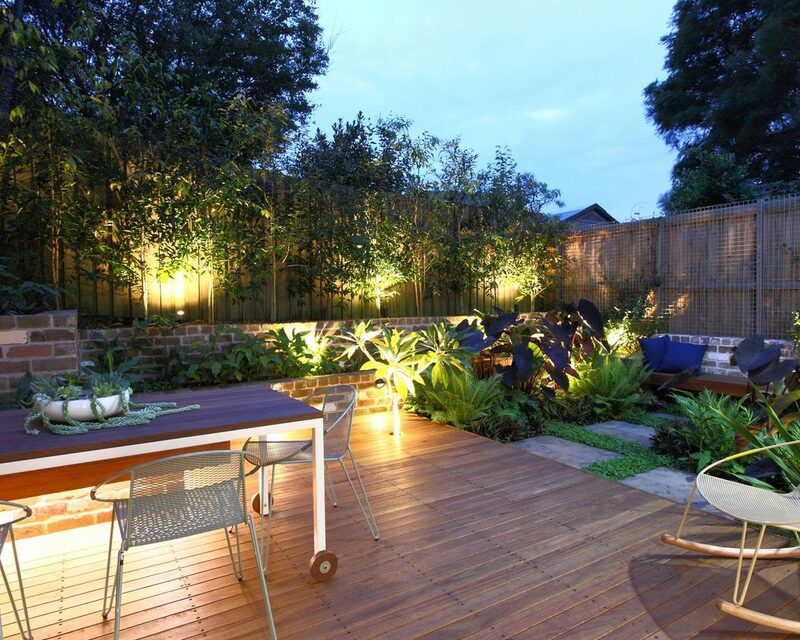 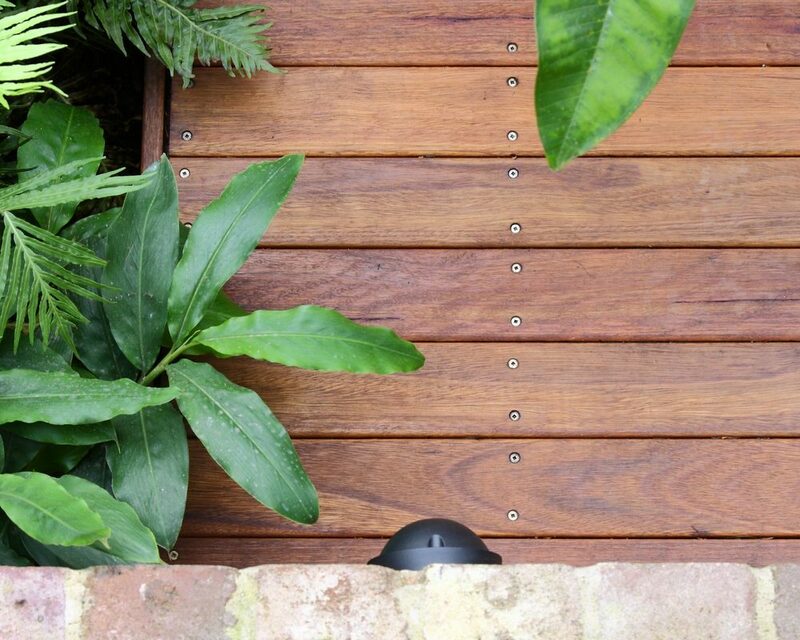 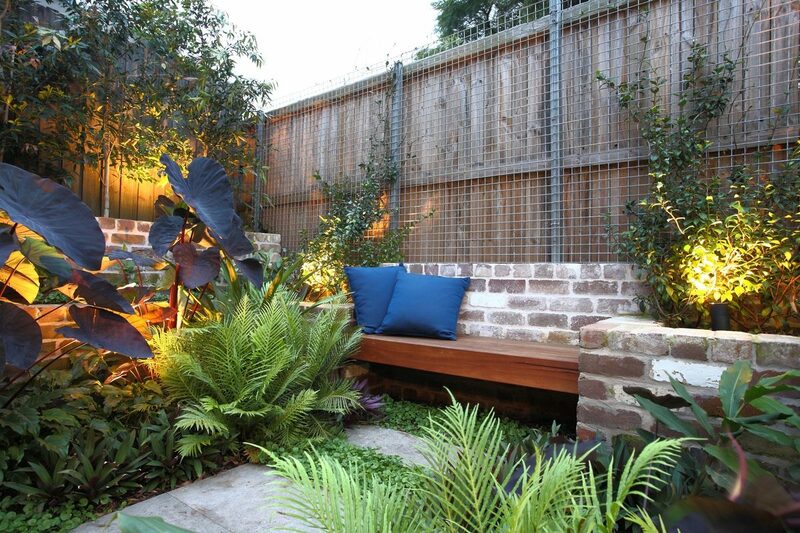 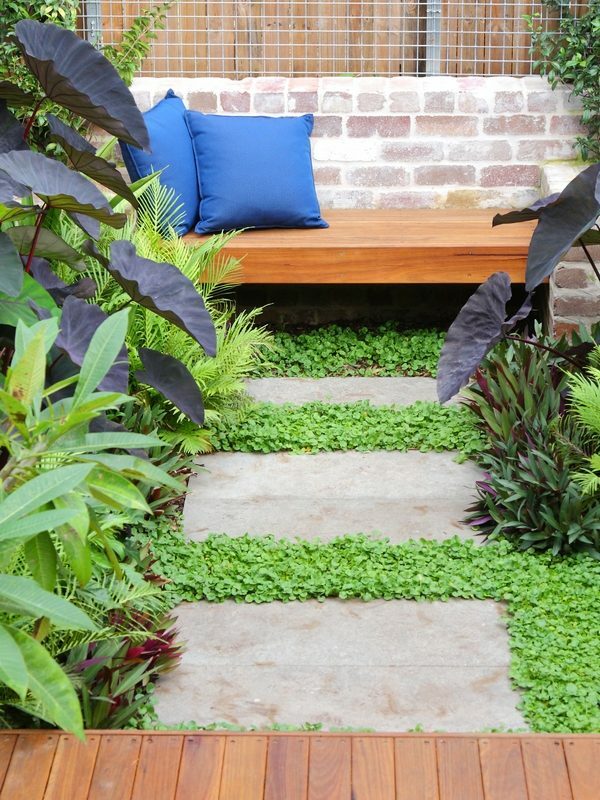 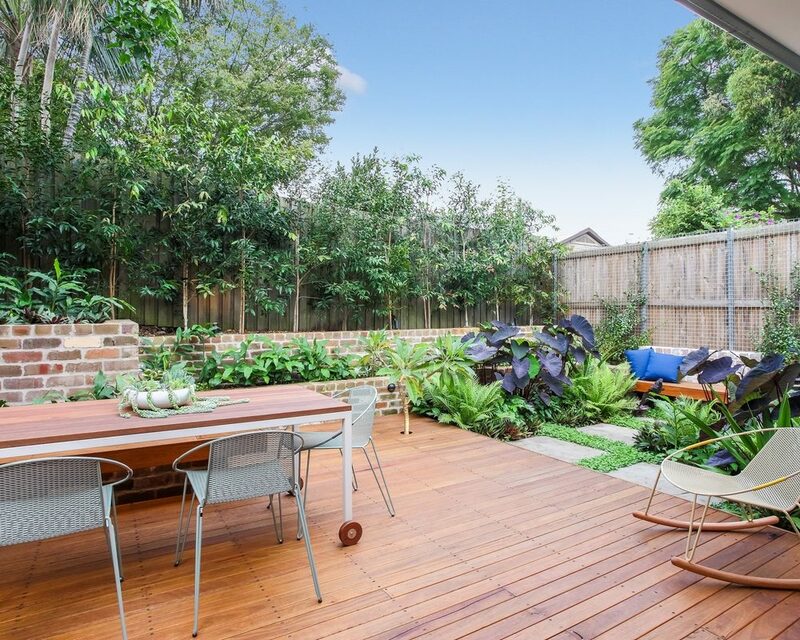 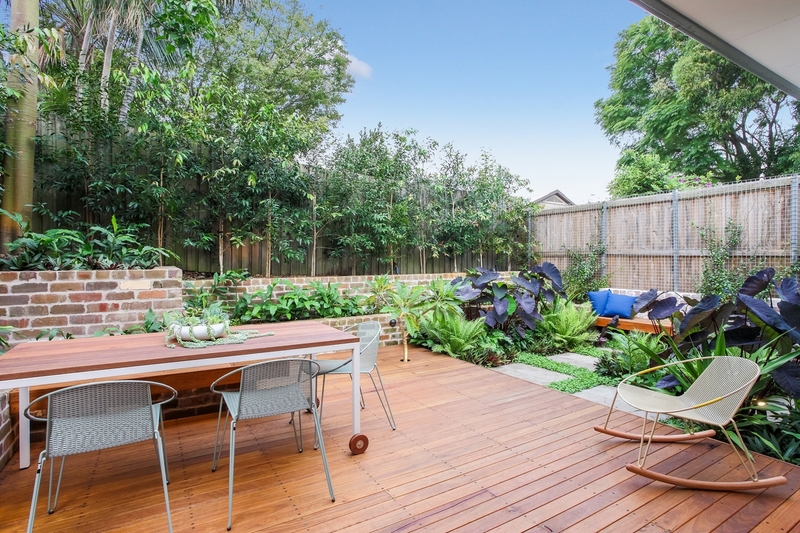 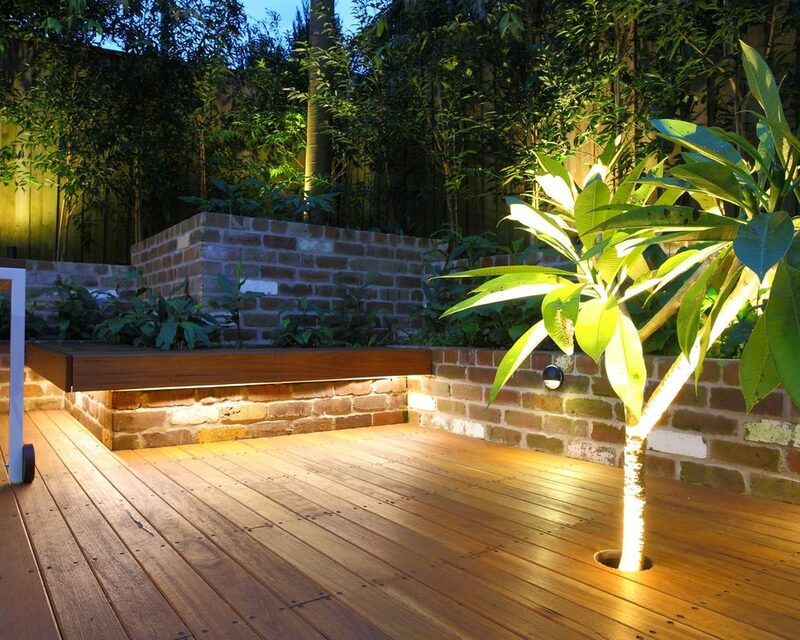 Our aim for this inner west garden, was to create a space that the family could enjoy from inside and outside. 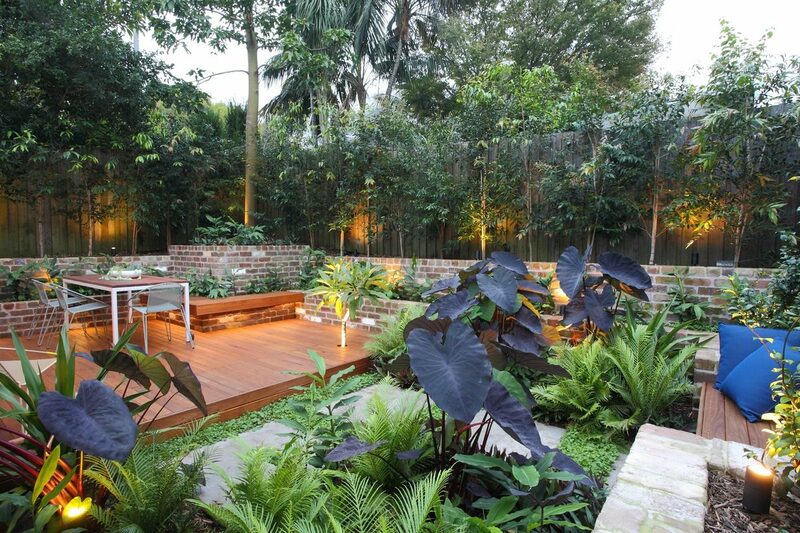 The brief called for an entertaining area, something of interest other than turf, screening for privacy and an area for relaxation. 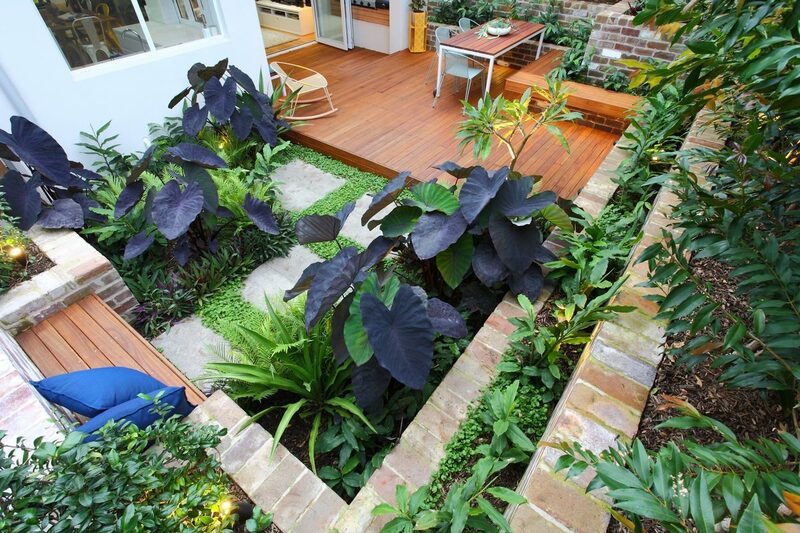 The challenge was the limited size of the yard and the significant level change, due to previous excavation works. 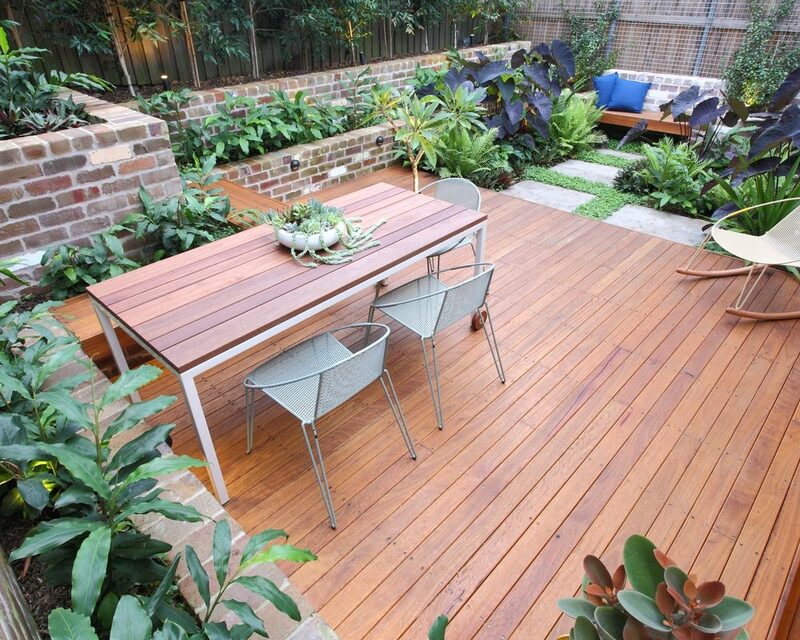 Keeping this brief in mind, we designed a raised deck for entertaining which then stepped down to a lush garden with pavers for the children to run through. 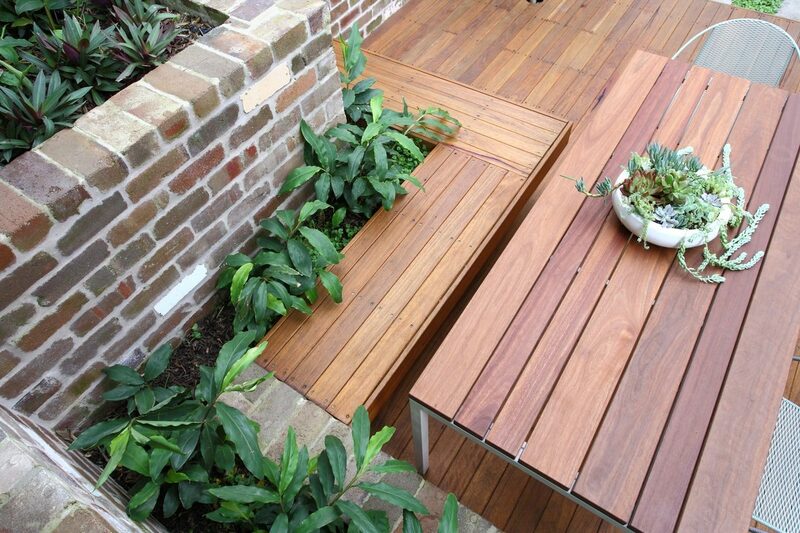 A retaining wall ran the perimeter of the property and doubled as seating, maximizing on the limited space. 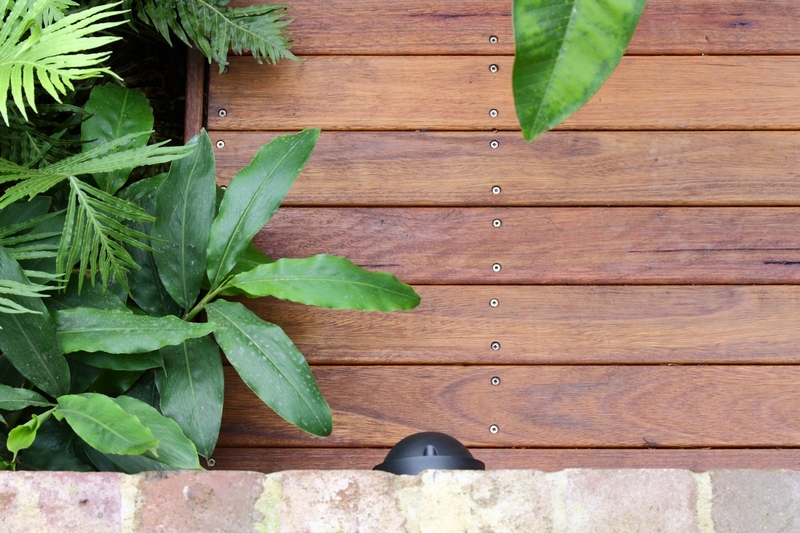 We incorporated a cantilever bench seat for relaxing and a planting of Waterhousia floribunda provided screening from the neighbours. 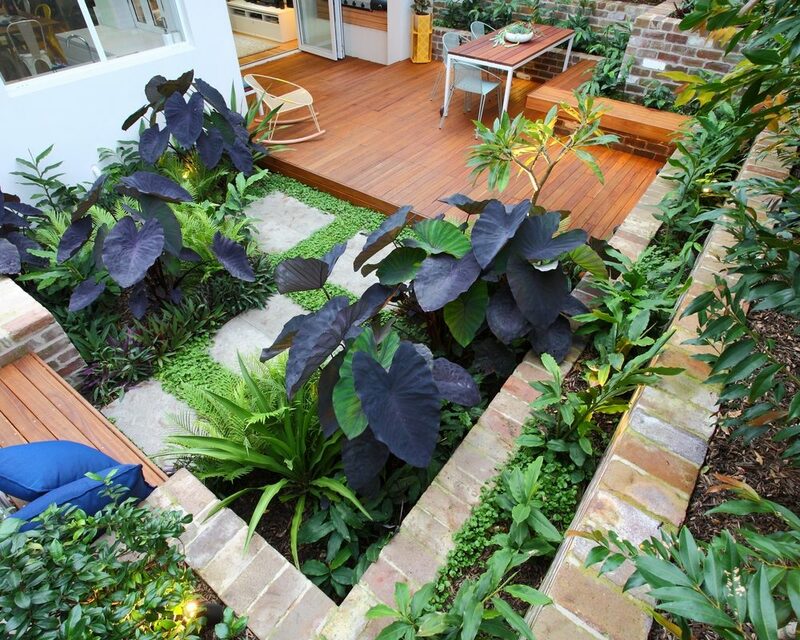 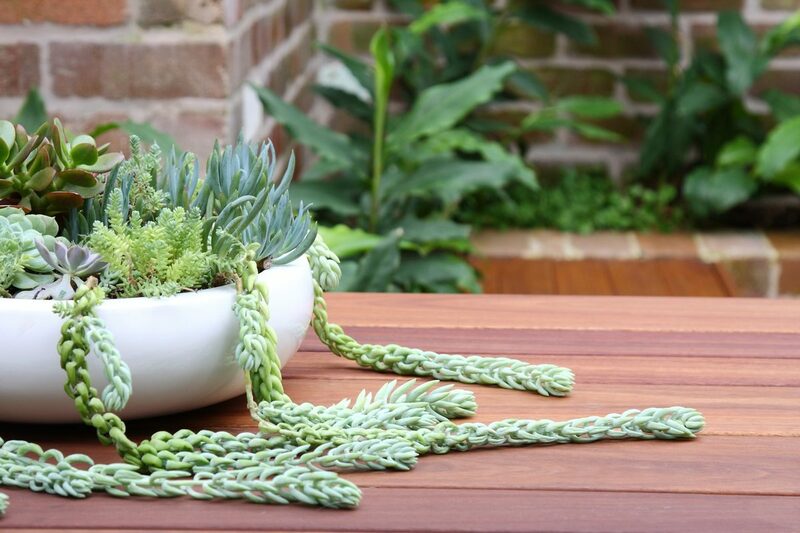 The use of different materials added interest and detail to the design. 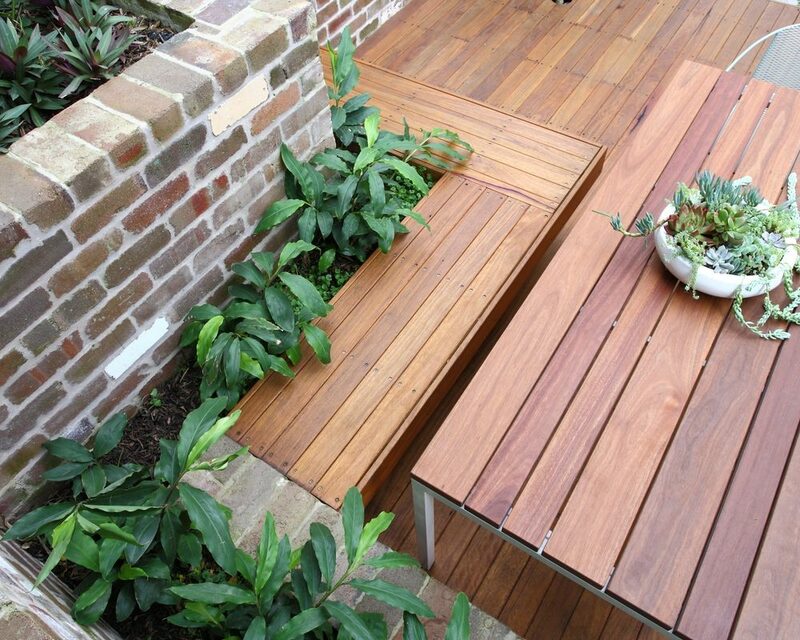 Recycled brick, blackbutt timber and limestone reflected a sympathetic feel to the terrace’s industrial surrounds. 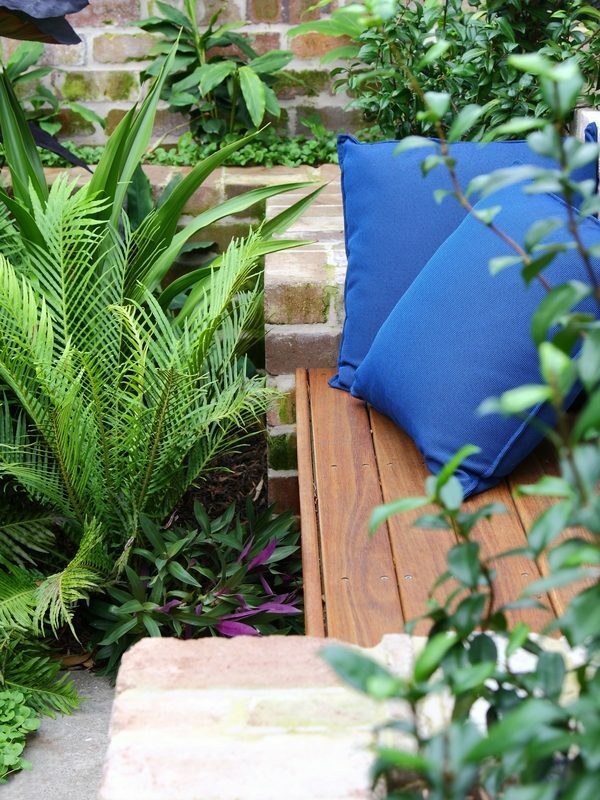 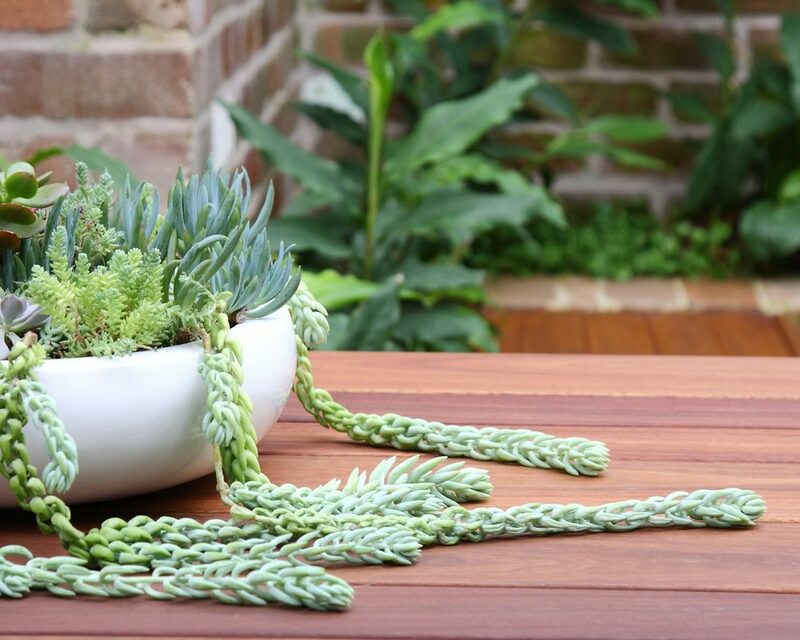 In contrast, we selected bold, tropical foliage. 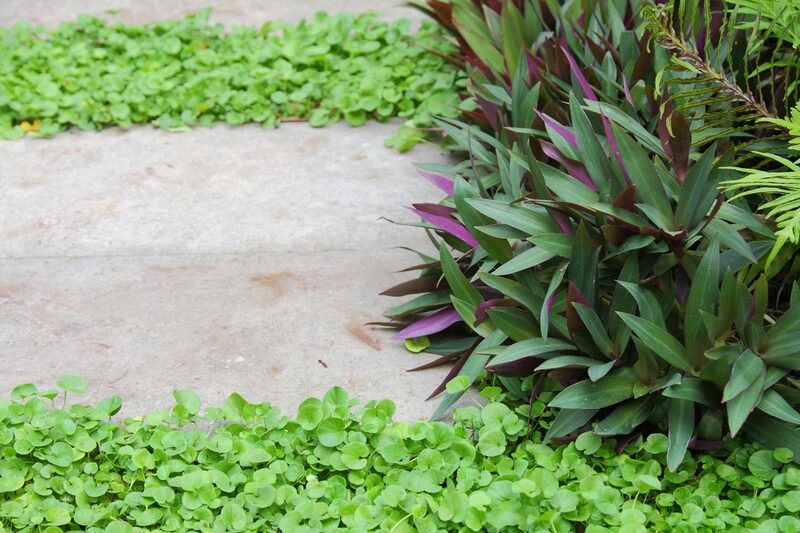 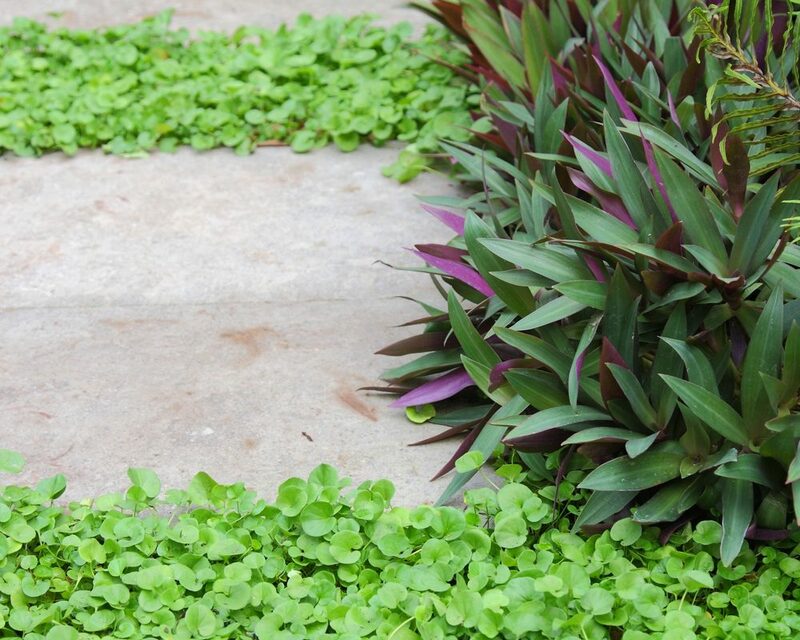 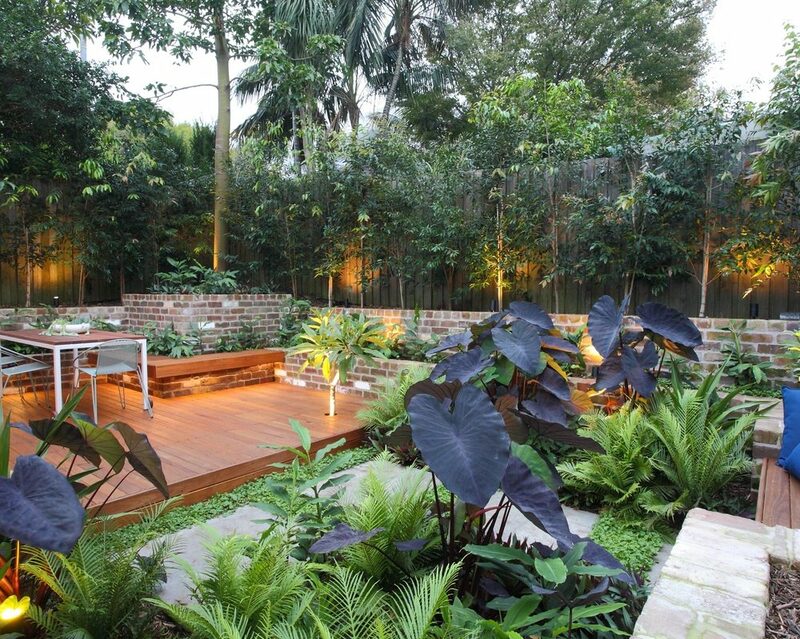 The lush planting gives the space an urban resort feel, while remaining subtle. 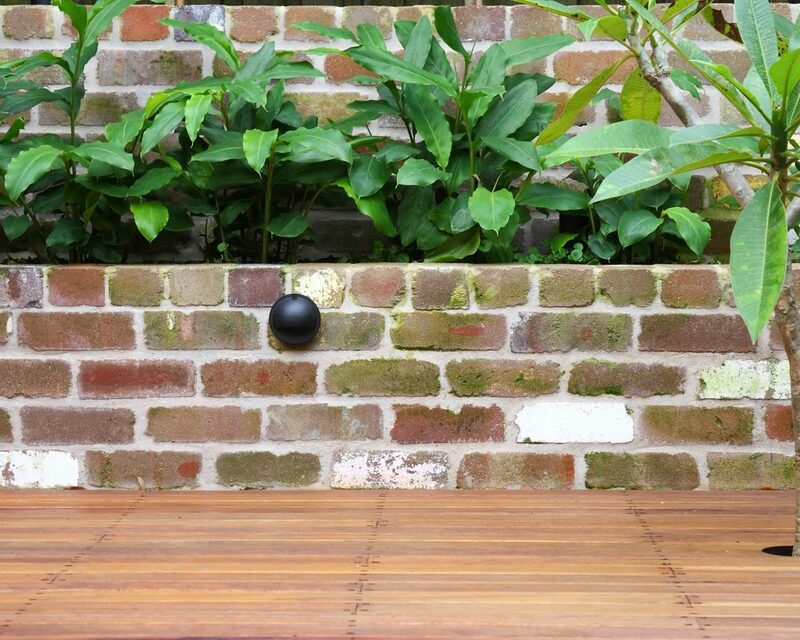 Overall, we created a design everyone can enjoy.